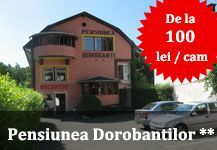 Is located at a distance of 30 km from Cluj-Napoca, in the village Bontida. Banffy Castle is a sight you should not miss it if you visit Cluj, or in transition to Dej. It'll be here starting the direction Cluj-Dej, then turn right in town Bontida. The field was donated, as historians say, by King Sigismund of Luxembourg to Banffy family. On the land in this area, the family mentioned above began, around 1437, the building of the house which today is proof of that time. The construction of the castle spread over a period of about 100 years and underwent significant changes over time. The palace was built by the great aristocratic family in Transylvania, Banffy family. To visit the Banffy you have to pay a fee of 2 RON/ person. At the entrance there is a parking space for cars. The National Theatre Cluj is the leading theater in Transylvania and among the largest in the country. It was built between 1904-1906, its purpose being at the time to host the first theater of Cluj. The theater was inaugurated in 1906 by a representative of the Hungarian Theatre. The building was built in Baroque-Rococo style, and its capacity was one thousand and three rows of balcony seats. In 1919 the theater entered in the heritage of Roman Ruling Council. The same year he had his first show in romanian language in the building of the National Theatre in Cluj, on Romania's national day. In 1940 the theater took refuge in Timisoara, due Vienna Dictate. There he remained until 1945, when he returned to Cluj led by Aurel Buteanu. The hall has a capacity of 928, which is designed in the style of Neo-Baroque. The Romanian Opera and the The '' Lucian Blaga '' National Theatre are hosted this time by the National Theatre building. Every two years the National Theatre Gala takes place here. Babes-Bolyai University in Cluj is one of the largest public institutions of higher education in our country. 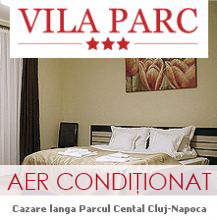 It continues the tradition of the University of Cluj created in 1919. In 1959 Romanian University of Cluj (which was called Babes) joined the Hungarian (Bolyai) and then there is the new name, Babes-Bolyai University. But it has roots in the Jesuit College from 1581. Multicultural format was preserved until today in all parts being found university with teaching in Hungarian, Romanian and German. The multicultural character stands at the Babes-Bolyai University. There are 17 university in Hungarian languages , 10 in German and two in English. Hungarian is taught exclusively in the Faculty of Protestant Theology and Roman Catholic Theology. The first document of a settlement in what is now Cluj was made by the Greek geographer Claudius Ptolemy, who mentioned here one of the most important places in the pre-Roman Dacia, named Napuca. Shortly after the Roman conquest in 101-102 and 105-106, Napuca was destroyed, to establish a new urban settlement (civitas), Napoca, on the right bank of the Samusriver. This settlement was founded in 124 AD, under the name of Municipium Aelium Hadrianum Napoca. After the withdrawal of the Roman administration in 271 AD, once flourishing urban life would cease. Cluj was mentioned for the first time in 1167, as „Castrum Clus”. The Cluj Napoca is full of historical buildings converted into museums for Cluj, memorialshouses of former leaders of Cluj, old churches, many historical monuments in the old center of the city and at least five markets that have helped shape this city. 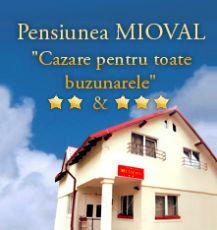 CazareClujNapoca.ro team provides information about the most important goals in Cluj.